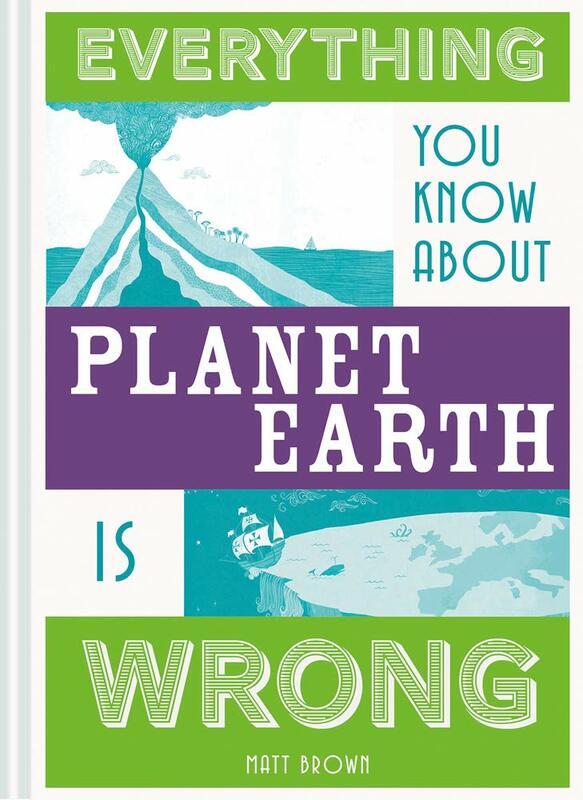 This is the latest of a series of 'Everything You Know About... is Wrong' books from Matt Brown. Although I always feel slightly hard done by as a result of the assertion in the title, as there are certainly things here I know that aren't wrong (I mean, come on, the first corrected piece of 'knowledge' is that 'The Earth is only 6,000 years old' and I can't imagine many readers will 'know' that), it's a handy format to provide what are often surprisingly little snippets of information that are very handy for 'did you know' conversations down the pub (or showing up your parents if you're a younger reader). Some of the incorrect statements that head each article are well-covered, if often still believed (for example, people thought that world was flat before Columbus), some are a little tricksy in the wording (such as seas have to wash up against land) and some are just pleasantly surprising (countering the idea that gold is a rare, precious metal, for example). All this is done in Brown's approachable friendly style in a book that largely takes in geography and geology. An entertaining title and a good gift for adult or teenager alike. I'm baffled. Gold is undoubtedly a metal; it is present at only 0.004 ppm in the Earth's crust; and its current market price is over £30 per gram. So why am I wrong in thinking it's a rare precious metal? Sounds like you'll have to buy the book! Though as I mentioned, some questions are a little tricksy in the way they're posed.